Ukrnafta minor shareholders seek $5.4 bn in damages. The claims of Ukrnafta minority shareholders controlled by the tycoon Ihor Lolomoyskyy against Ukraine have increased from $4.7 to $5.439 bn, Interfax Ukraine wrote on 3 January citing to materials posted by the Ministry of Justice in the ProZorro procurement system. In September 2017 the prospectus of Ukraine's eurobonds stated that the claims of the minority shareholders against Ukraine in a lawsuit filed to the Arbitration Institute of the Stockholm Chamber of Commerce were at $4.7 bn. The hearings in the arbitration are scheduled for February 19 - March 2, 2018. The lawsuit was filed by the minority shareholders of PJSC Ukrnafta (Cypriot Littop Enterprises, Bridgemont Ventures, Bordo Management) in June 2015 against the state of Ukraine. In particular, the claimants accused Ukraine of causing damage due to the withdrawal of gas produced by Ukrnafta without payment or with payment at an underestimated price, the failure of Naftogaz and Ukrtransgaz to comply with the rulings of Ukrainian courts, a sharp increase in royalties for subsoil use, and the reduction of quorum for holding meetings of joint-stock companies. Ukrainian the 2010 agreement of, the chairman of the board should be selected from the candidates proposed by minority shareholders, and six out of 11 members of the supervisory board and its head should be nominated by the NAC. At the same time, the quorum was achieved with the presence of 8 of the 11 members of the council, which at that time did not contradict the law on joint-stock companies. Now the legal quorum is reduced to a simple majority of votes. Thanks to the agreement, Privat established an almost total control over the activity of the semi-state largest extraction company, including the opportunity to appoint top managers. In September 2015, Ukrnafta secret treaties between minority shareholders and top managers were published, according to which members of the company's board for additional million fees took on the responsibility to work in the interests of offshore shareholders. In the same year, the amended Ukrainian law on joint-stock companies, which reduced the quorum for making decisions by the shareholders' meeting from 60% to 50%, made possible the election of UK's Mark Rollins chairman as Ukrnafta COB. He was selected via a job contest, and supported, including by minority shareholders. Naftogaz owns 50% + 1 share stake in Ukrnafta. 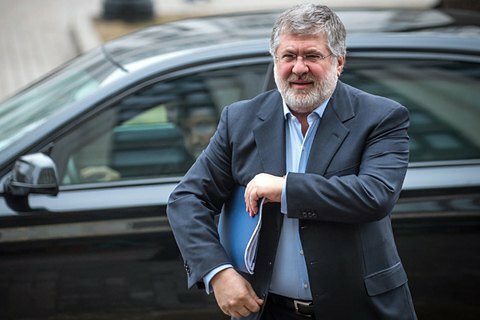 The companies belonging to the sphere of influence of Ihor Kolomoiskyy's Privat group own approximately 42% (13.6% to Littop Enterprises Ltd and Bridgemont Ventures Ltd, 12.9% by Bordo Management Ltd. 9.9% is owned by other shareholders).